The Gavin Clark Stage is held at Doveridge Club and here’s who’s coming this Summer! Ashley McGovern is the songwriter and guitarist from York based band, Pelico. Now releasing solo material and embarking on a select tour, Ashley will be playing newly written material from his latest collection “Wolf”. 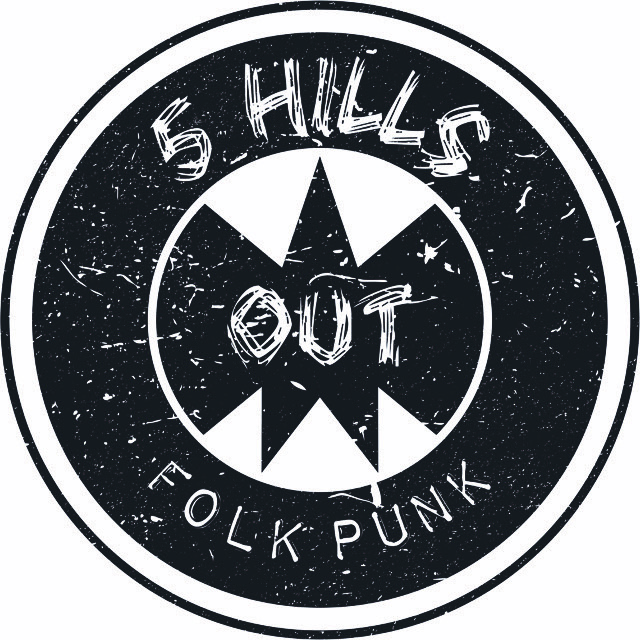 5 Hills Out are a 5-piece folk-punk band of misfits from Derbyshire, formed in 2014. The band combine accordion, saxophone, guitars, mandola, bass and drums into their passionate and crafted sound. Stripped down acoustic arrangements sit alongside driven punk anthems. Their song variation and instrument swapping ability, make 5 Hills Out, stand out. 5 Hills Out sound is energised by their eclectic influences taken from the likes of The Levellers, Richard Thompson, New Model Army, X-Ray Spex and Gogol Bordello. 5 Hills Out are: Ben Liverman: Guitar, Mandola & Vocals, Rebecca Liverman: Saxophone, Accordion & Vocals, Andy Gurney: Guitar, Mandola & Vocals, Neil Fox: Bass Guitar & Vocals and Chris Clay: Drums & Percussion. Check them out on Soundcloud here! 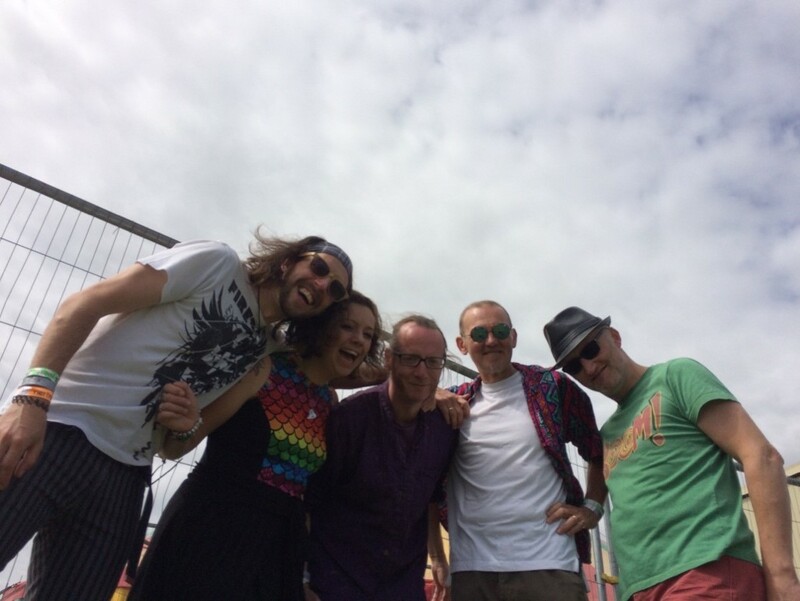 Hailing from Salford, this is a Brain Pop/Electronica/Psychedelia Collective features Adam Hart – Programmer/Synthesizers/Guitar, Chantelle Valentine – Sound Design/Producer/Composer and John Lowndes – Songwriter/Producer/Vocalist/Guitarist. “John Lowndes is a virtuosic singer and guitarist…… With the ability to haunt with his modern blend of folk, atmospheric textures and sonic experiments Lowndes paints colourful images with words, melody and noise. 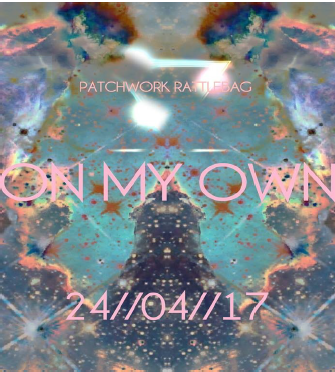 In my humble opinion John Lowndes and Patchwork Rattlebag are truly one of the best kept secrets in the music underground today. But don’t take my word for it, go forth and hear for yourself.” Adam Hunter, Music Is Our Radar Editor. Cyclone Eddie are a five piece combo, steeped in the finest traditions of the late 70s Pub Rock scene. Ninety five percent of their set is original material; which is punchy, high energy, well written and edited with blues, punk, rock, ska and pop influences. They are excellent live with a unique aesthetic and sound; an original frontman who engages with the crowd supported by a tight four square quartet who rock with real passion and flair. Their tongue in cheek style coupled with an overdrive fender sound, real stage presence and a good time approach has been well received throughout the East Midlands since reforming in the latter part of 2015. A really live band who engage with the crowd for a combined good time, Cyclone Eddie are unique, fresh and are fit with any crowd. 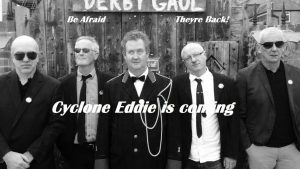 The original Cyclone Eddie’s next performance was at Paul Rhodes wedding in May 2015, which proved to be the catalyst for the reformed band. 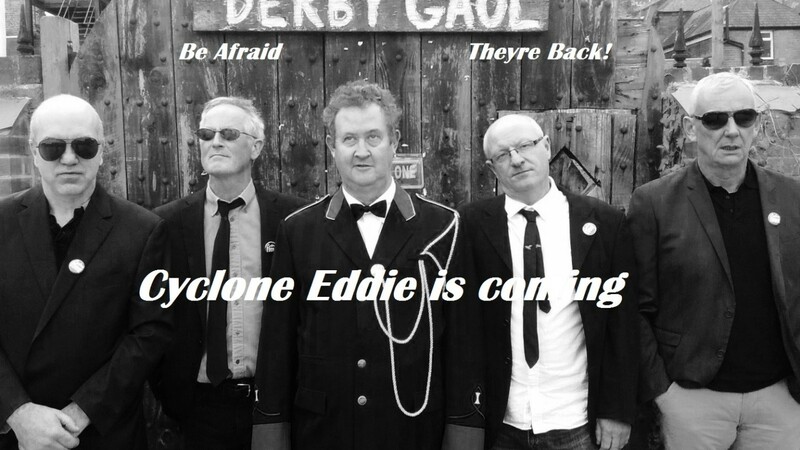 The current Cyclone Eddie is a hybrid of the two bands; Alan, Mick and Pete the “Cyclones”, Tim and Steve from the Alsatians. Their current set is an amalgam of the two bands original material. The band gig from April to November annually; Alan winters in Perth Australia. 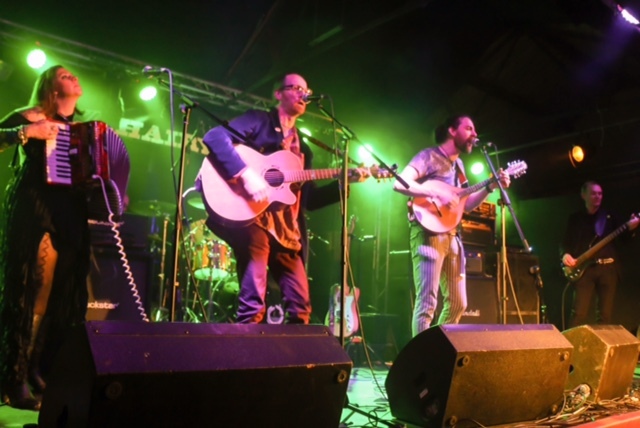 The current line-up consists Steve Woolley on drums, Pete Wainwright on bass, Tim Maynard on Lead guitar, Mick Eastough on guitar-vocals and Alan Cox on lead vocals. 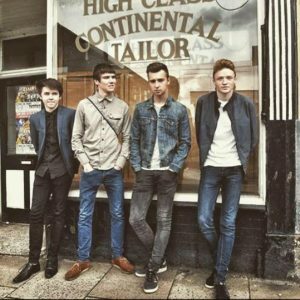 Hailing from Stoke, these young fella’s originally formed in February of 2015, with the current line-up been in formation since May of last year. There influences range from Velvet Underground, The Strokes, The Smiths and The Stooges. Check them out on Soundcloud here! THE SKIRR are a lively, guitar-led indie rock band from Stoke on Trent. 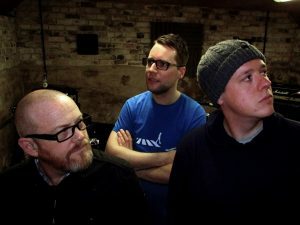 Formed in 2012, the trio is comprised of Chris Whyte (guitar, vocals), Gus Nicol (guitar, vocals) and Matt Green (drums, vocals). The Skirr have a talent for writing melodic pop-rock and punk tunes with catchy lyrics, vocal harmonies, and memorable guitar riffs. With Chris Whyte and Gus Nicol sharing the lead vocal duties, they have an arsenal of talent and skill at their disposal. 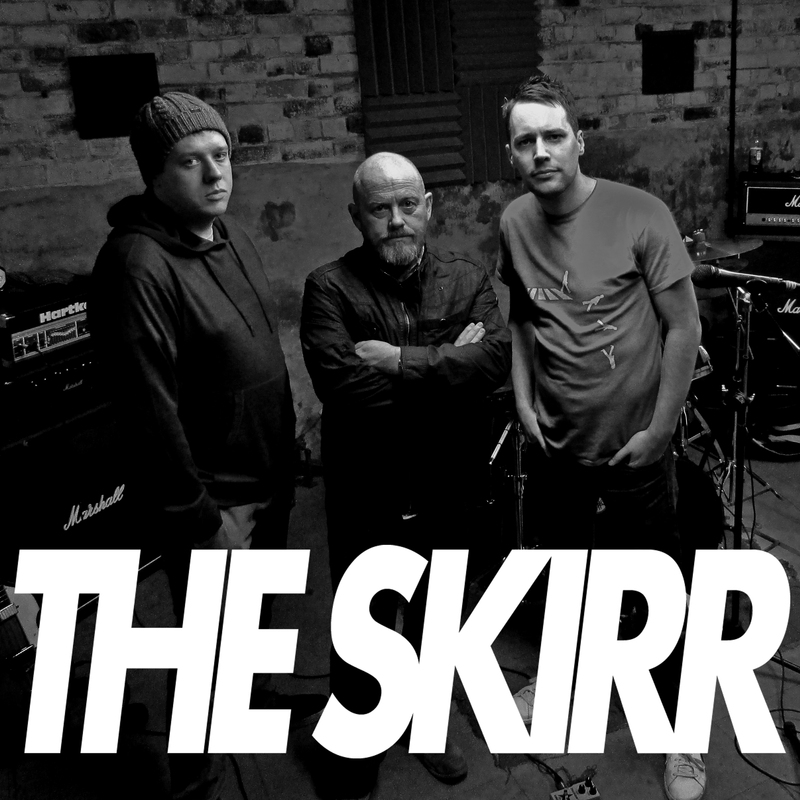 The Skirr have made a small but significant impact on the local live scene in the Midlands. They have performed at numerous venues including The Sunflower Lounge, The Victoria, The Flapper and The Actress and Bishop in Birmingham. In June 2013, the band played their first headline gig to an audience of 200+ at The Slade Rooms in Wolverhampton supported by Luke Wylde and the Japes. 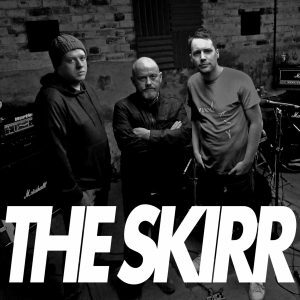 In Stoke-on-Trent, The Skirr have played a number of live shows at The Underground in Hanley including a support slot for Billy Bibby and the Wry Smiles (Formerly of Bottlefish and the Catmen). The Skirr have had a number of digital releases since their debut single – ‘Steal The Sun’ – in 2013. 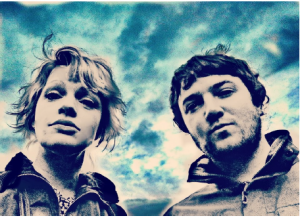 ‘Steal The Sun’ and ‘Sunday After Dinner’ from their EP – ‘Bolt from the Blue’ – have received airplay on BBC WM Introducing as well as a number of local and internet radio stations. ‘Bolt from the Blue’ was produced by Richard Wood and recorded at The Old Smithy (Robert Plant, Black Sabbath, Judas Priest). 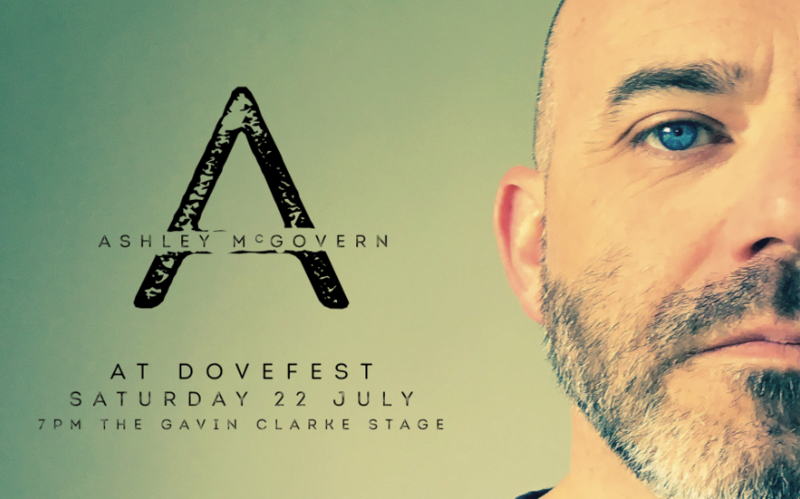 So far in 2017, The Skirr have played a number of gigs in Stoke-on-Trent and are joining us at Dovefest to Headline the Gavin Clark Stage. The band are also due to release their next single – ‘Just One Kiss’ – later this year which has been produced by Ryan Pinson and recorded at RML Studios. You may or may not recognise the name, but too few people are aware of the late Gavin Clark. A brilliantly gifted local musician and songwriter, Gavin sadly passed away earlier this year aged 46. If you’ve watched any Shane Meadow’s films you will have heard Gavin’s work. Gavin became good friends with Meadows, working at Alton Towers together and his music graces most, if not all of Shane’s work. As a tribute to Gavin, we have named a stage in his memory. It’s only a small gesture, but we feel strongly that more people should be aware of Gavin and his back catalogue of work. Look him up, buy his music, and maybe one day he’ll eventually gain the recognition he really deserved.